Since long ago, one of the best drivers of new business has been the customer recommendation. Getting your customers and clients to recommend your service to one of their friends or family members is hugely effective, and can easily result in new business for you. Unfortunately, that knife has always cut both ways – if a client says something bad about you to their acquaintances, even something unfounded, you could lose business. This situation is just as true in the digital age, but with an important twist. These positive and negative recommendations don’t have to come from friends or family anymore. Instead, they can be easily found on Google, Bing, and dozens of social networks and review websites. Someone can post a positive Google review or a damning tweet on Twitter, and that post will influence other people. So, how can you control the impact of negative content online, and help ensure your brand will be seen in a positive light. The answer is reputation management – basically, PR for the Internet era. It’s becoming more and more important for brands to take a proactive role in managing their presence online, and doing so in a way that is smart and savvy. We’ve collected a few guidelines here that can help you begin to better manage your reputation online. Drive Positive Content – Basically, this tip is: “Be the change you want to see.” In other words, you have to create the content that you want to represent you, instead of just hoping others will do it for you. If you want people to see your brand positively, you need to create positive content for them to see. This can be anything from a friendly and accessible Facebook or Twitter account, to educational videos about your products and process, to humorous advertisements on YouTube. Give your brand a personality, and let customers engage with it online. Engage With Your Customers – Once you’ve started to create content, make sure you engage with your customers around it. Say “Thanks!” on Twitter when someone gives you a good review, and +1 Google posts that are good for your brand. On the same token, make sure you try to engage with negative comments, too – but in a positive way! If someone criticizes your brand, extend sympathy and an offer to help correct the situation. Don’t pull a Nestlé and try to silence or deride critics – your situation will only get worse. Own Up to Mistakes – If you’re a follower of social media, you probably remember Amy and Samy Bouzaglo of Amy’s Baking Company. After a famously destructive Facebook meltdown in which the two restaurant owners defensively argued and criticized their online detractors, the Bouzaglos wrote that they “have obviously been hacked…” and “are working with the local authorities as well as the FBI computer crimes unit to ensure this does not happen again.” The problem is, this lie makes the company seem even more disingenuous, and does nothing to help repair the damage. If you are caught in a negative situation online, own up to your mistakes and do what you can to repair the damage truthfully. One thing Internet users always hate is lying, and getting caught could irreparably damage your online reputation. Of course, this is only the beginning of a successful reputation management campaign. There is much more that you can do to keep your brand’s image positive online, but the tips above are some of the simplest and most effective things you can do. 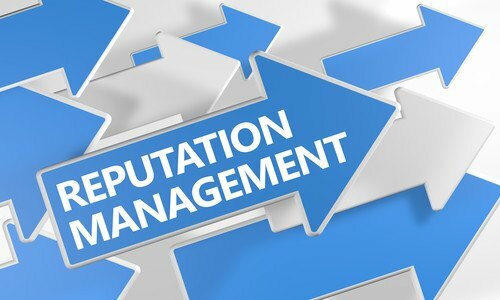 If you want to learn more about reputation management and how it can help your business succeed online, you can always contact us at RankMonsters. We would be happy to walk you through our reputation management process and what it could do for you.